Building consensus is hard work, especially in energy policy. But when local governments, organized labor, environmental organizations and energy providers all come together, they can create a positive future for everyone. That’s what happened this week in the Illinois legislature in Springfield. 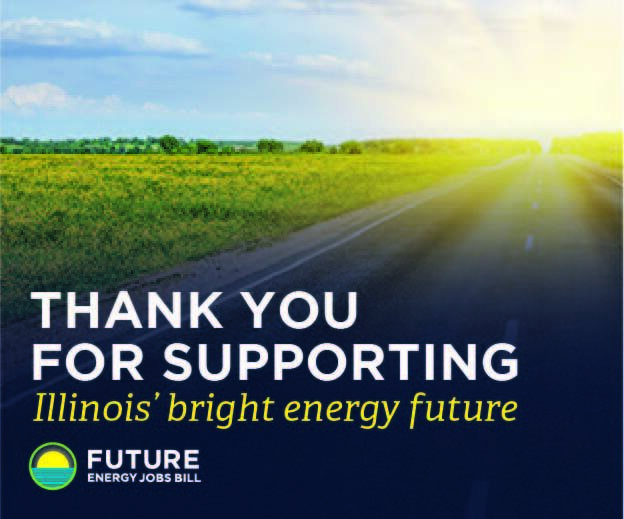 The legislature, in a special session, approved the Future Energy Jobs Bill, with strong bipartisan support. Governor Rauner pointed out in a statement that the bill will save thousands of jobs, and will protect ratepayers from large increases for years to come. With this law, Illinois follows New York in recognizing that like wind and sun, nuclear is a zero-carbon energy source and should be valued as such. The bill went through many twists and turns over two years. Negotiations over its shape were long and hard partly because of the diverse list of parties involved. We hope it will be a model going forward, around the country. 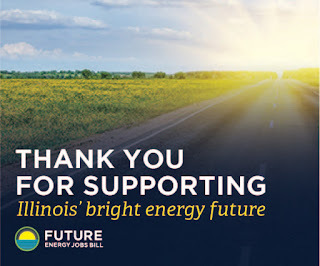 Environmental Progress, led by Michael Shellenberger, rallied pro-nuclear environmentalists in Illinois and around the country in support of the bill. The Union of Concerned Scientists pointed out that the bill had the potential to improve the state’s efforts in efficiency and renewable energy. The Environmental Defense Fund listed similar reasons for joining the consensus behind the bill. The Natural Resources Defense Council and the Sierra Club also came on board. And there was strong support from organized labor. Saving Clinton and Quad Cities protects over 4,000 employees, many of them represented by the International Brotherhood of Electrical Workers, United Association of Plumbers and Pipe Fitters, Iron Workers, Sheet Metal Workers, Carpenters, Boilermakers, the Building Trades and the AFL-CIO. As Governor Rauner put it, “This process shows that when all parties are willing to negotiate in good faith, we can find agreement and move our state forward." We hope that he is heard in other state capitols, and in Washington.